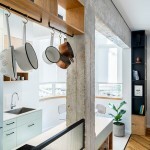 Functional apartment with work and live intimacy but clear separation. 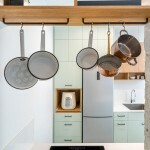 RUST architects designed a small 53 sqm apartment in an International Style building at the heart of Tel-Aviv. The building, which is a part of the White City World Heritage Site, was built 85 years ago. 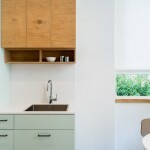 It is characterized by small apartments with high ceilings and wide strip windows. 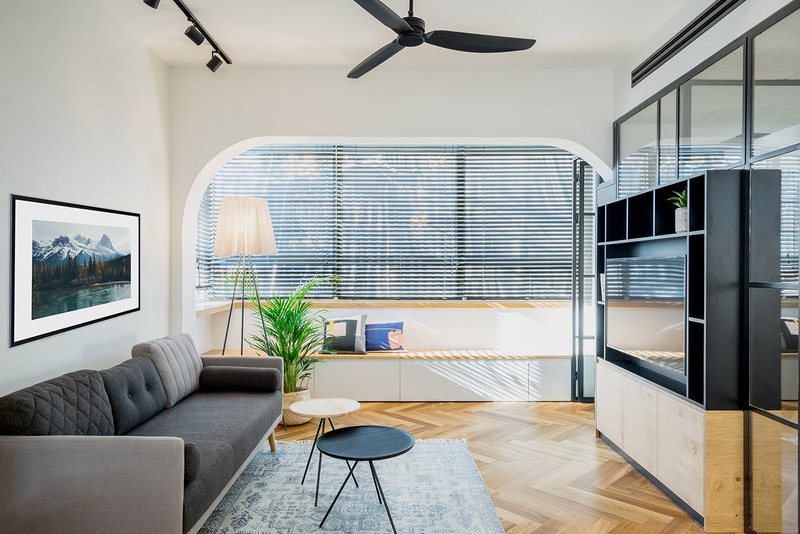 The owners, a young couple who works from home, wanted to create a living space alongside a work space, while maintaining both intimacy and clear separation. 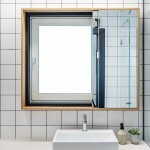 The design challenge included mixing different functions, creating storage areas and maximizing natural light in a small space – without demanding a complex operation. 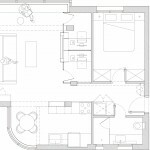 The apartment was divided into two parts: a private area which includes a bedroom, bathroom and service closet, and a public area with the living room and kitchen. 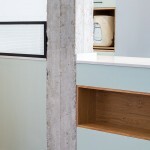 A box containing the work space was placed between the two parts of the apartment. 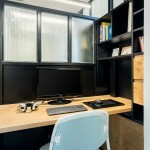 The box contains two comfortable work stations which are defined by iron frames, glass partitions and a wooden library, which also serves as a media center. 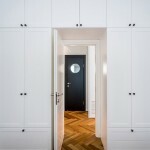 The library contains the apartment’s communication systems, allowing to control the entire home media systems. 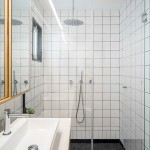 To facilitate the parallel use of the different functions, the finishing materials were chosen according to their acoustic quality: double layered wooden floors, insulated walls, exposed bricks and acoustic ceiling tiles in the work space. 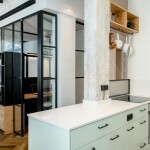 Due to the large amount of details in such a small apartment, the architects chose to use classic construction and finishing materials such as a grayscale color palette, steel and wood. 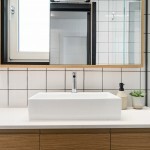 The variety of materials is combined to create a warm and rich but also pleasant and relaxed atmosphere. 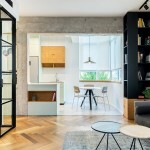 The size of the apartment demanded the architects to fully design the carpentry details, including furniture, kitchen, storage areas and doors. 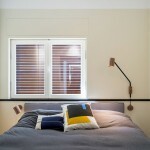 Worm light gradient and technical light fixtures were used to create a pleasant feel and to emphasize Israeli light designer Asaf Weinbroom’s ( www.asafweinbroom.com ) decorative light fixtures.